If you are looking for Professional Upholstery Cleaning, Amazing cleaning provides upholstery service in Johannesburg area. Our steam/dip cleaning technicians are equipped with the most advanced machinery to provide dip cleaning of carpet and upholstery cleaning in commercial and residential areas. Our professional carpet and upholstery cleaners have years of experience in the care of different types of fabrics. We will choose the right cleaning solutions that are the most appropriate for you delicate or synthetic furniture upholstery cleaning. Upholstery clean service starts with an examination of the fabric. Our experienced technicians will test the small piece of fabric with the right solution to find the safest way for your upholstery cleaning. Then we will use low moisture methods so your furniture upholstery will be dry quicker. We have the right tools to clean every crevice and fold in order to get the best possible results. By using steam cleaning of all frequent fabric types. 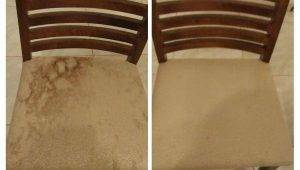 We use the identical method to clean upholstery as we do in carpet cleaning. 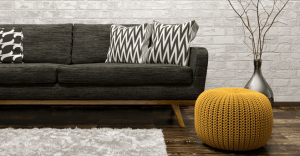 It is genuinely the most dependable upholstery cleaning technique of these days so we follow it to our purchasers and the outcomes are impressive each and every time. If you additionally have an upholstery that maintenance, experience free to try our upholstery cleaning offerings and find out how easy, quick and resulting it can be.Amazing Cleaning has know-how in many sorts of fabric. From Italian, Chinese, Indian, Pakistani, and different extravagant pricey upholstery, to more simple domestic improvement. We have the potential to clean office chair, couch, headboard, car, and other fabric as we have a brilliant funding for the brand new technology. We assure that we will use the correct detergent and for this reason retain the richness of the shades of your upholstery. Our professional’s upholstery cleaning offerings which are in accordance with your home, office desires and specifics and even your boldest expectations are continually met with us. You get a clean upholstery which reminds of the day you purchased it. Moreover, it is even higher as it smells smooth and fresh, too. Contact our customer services for more information about our Upholstery cleaning Service compay and residential service in Johannesburg. And a free quote on 0110462623 or you can complete our online booking form and someone from our office will get in touch with you as soon as possible. At AmazingCleaning, our mission is to assist our corporate clients while they focus on their core businesses. We understand that your office is the face of your company and a clean office will go a long way in creating a favorable impression on your clients. Want to book an appointment? Not sure what type of services suit your needs? Feel free to email us anytime! We will usually reply you within 24hours. Alternatively, you can give us a call at 011 046 2623 or 083 484 4369 during our operating hours.